"Sthlm" redirects here. For the Swedish TV series, see Sthlm (TV series). Stockholm (Swedish pronunciation: [²stɔk(h)ɔlm] ( listen)) is the capital of Sweden and the most populous urban area in the Nordic countries;[a] 962,154 people live in the municipality, approximately 1.5 million in the urban area, and 2.3 million in the metropolitan area. The city stretches across fourteen islands where Lake Mälaren flows into the Baltic Sea. Just outside the city and along the coast is the island chain of the Stockholm archipelago. 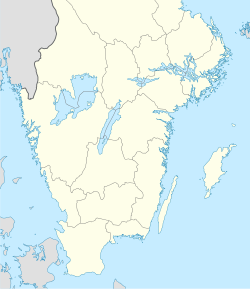 The area has been settled since the Stone Age, in the 6th millennium BC, and was founded as a city in 1252 by Swedish statesman Birger Jarl. It is also the capital of Stockholm County. Stockholm is the cultural, media, political, and economic centre of Sweden. The Stockholm region alone accounts for over a third of the country's GDP, and is among the top 10 regions in Europe by GDP per capita. It is an important global city, and the main centre for corporate headquarters in the Nordic region. The city is home to some of Europe's top ranking universities, such as the Stockholm School of Economics, Karolinska Institute and Royal Institute of Technology (KTH). It hosts the annual Nobel Prize ceremonies and banquet at the Stockholm Concert Hall and Stockholm City Hall. One of the city's most prized museums, the Vasa Museum, is the most visited non-art museum in Scandinavia. The Stockholm metro, opened in 1950, is well known for the decor of its stations; it has been called the longest art gallery in the world. Sweden's national football arena is located north of the city centre, in Solna. Ericsson Globe, the national indoor arena, is in the southern part of the city. The city was the host of the 1912 Summer Olympics, and hosted the equestrian portion of the 1956 Summer Olympics otherwise held in Melbourne, Victoria, Australia. Stockholm is the seat of the Swedish government and most of its agencies, including the highest courts in the judiciary, and the official residencies of the Swedish monarch and the Prime Minister. The government has its seat in the Rosenbad building, the Riksdag (Swedish parliament) is seated in the Parliament House, and the Prime Minister's residence is adjacent at Sager House. Stockholm Palace is the official residence and principal workplace of the Swedish monarch, while Drottningholm Palace, a World Heritage Site on the outskirts of Stockholm, serves as the Royal Family's private residence. After the Ice Age, around 8,000 BC, there were already many people living in what is today the Stockholm area, but as temperatures dropped, inhabitants moved south. Thousands of years later, as the ground thawed, the climate became tolerable and the lands became fertile, people began to migrate back to the North. At the intersection of the Baltic Sea and lake Mälaren is an archipelago site where the Old Town of Stockholm was first built from about 1000 CE by Vikings. They had a positive trade impact on the area because of the trade routes they created. Stockholm's location appears in Norse sagas as Agnafit, and in Heimskringla in connection with the legendary king Agne. The earliest written mention of the name Stockholm dates from 1252, by which time the mines in Bergslagen made it an important site in the iron trade. The first part of the name (stock) means log in Swedish, although it may also be connected to an old German word (Stock) meaning fortification. The second part of the name (holm) means islet, and is thought to refer to the islet Helgeandsholmen in central Stockholm. According to Eric Chronicles the city is said to have been founded by Birger Jarl to protect Sweden from sea invasions made by Karelians after the pillage of Sigtuna on Lake Mälaren in the summer of 1187. Stockholm's core, the present Old Town (Gamla Stan) was built on the central island next to Helgeandsholmen from the mid-13th century onward. The city originally rose to prominence as a result of the Baltic trade of the Hanseatic League. Stockholm developed strong economic and cultural linkages with Lübeck, Hamburg, Gdańsk, Visby, Reval, and Riga during this time . Between 1296 and 1478 Stockholm's City Council was made up of 24 members, half of whom were selected from the town's German-speaking burghers. The strategic and economic importance of the city made Stockholm an important factor in relations between the Danish Kings of the Kalmar Union and the national independence movement in the 15th century. The Danish King Christian II was able to enter the city in 1520. On 8 November 1520 a massacre of opposition figures called the Stockholm Bloodbath took place and set off further uprisings that eventually led to the breakup of the Kalmar Union. With the accession of Gustav Vasa in 1523 and the establishment of a royal power, the population of Stockholm began to grow, reaching 10,000 by 1600. The 17th century saw Sweden grow into a major European power, reflected in the development of the city of Stockholm. From 1610 to 1680 the population multiplied sixfold. In 1634, Stockholm became the official capital of the Swedish empire. Trading rules were also created that gave Stockholm an essential monopoly over trade between foreign merchants and other Swedish and Scandinavian territories. In 1697, Tre Kronor (castle) burned and was replaced by Stockholm Palace. In 1710, a plague killed about 20,000 (36 percent) of the population. After the end of the Great Northern War the city stagnated. Population growth halted and economic growth slowed. The city was in shock after having lost its place as the capital of a Great power. However, Stockholm maintained its role as the political centre of Sweden and continued to develop culturally under Gustav III. By the second half of the 19th century, Stockholm had regained its leading economic role. New industries emerged and Stockholm was transformed into an important trade and service centre as well as a key gateway point within Sweden. The population also grew dramatically during this time, mainly through immigration. At the end of the 19th century, less than 40% of the residents were Stockholm-born. Settlement began to expand outside the city limits. The 19th century saw the establishment of a number of scientific institutes, including the Karolinska Institutet. The General Art and Industrial Exposition was held in 1897. From 1887 to 1953 the Old Stockholm telephone tower was a landmark; originally built to link phone lines, it became redundant after these were buried, and it was latterly used for advertising. Stockholm became a modern, technologically advanced, and ethnically diverse city in the latter half of the 20th century. 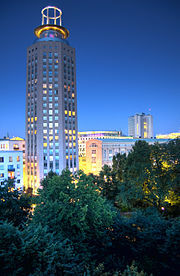 Many historical buildings were torn down during the modernist era, including substantial parts of the historical district of Klara, and replaced with modern architecture. However, in many other parts of Stockholm (such as in Gamla stan, Södermalm, Östermalm, Kungsholmen and Vasastan), many "old" buildings, blocks and streets built before the modernism and functionalism movements took off in Sweden (around 1930–35) survived this era of demolition. Throughout the century, many industries shifted away from industrial activities into more high-tech and service industry areas. Currently, Stockholm's metropolitan area is one of the fastest growing regions in Europe, and its population is expected to number 2.5 million by 2024. As a result of this massive population growth, there has been a proposal to build densely packed high-rise buildings in the city centre connected by elevated walkways. Stockholm is located on Sweden's east coast, where the freshwater Lake Mälaren — Sweden's third largest lake — flows out into the Baltic Sea. The central parts of the city consist of fourteen islands that are continuous with the Stockholm archipelago. The geographical city centre is situated on the water, in Riddarfjärden bay. Over 30% of the city area is made up of waterways and another 30% is made up of parks and green spaces. Positioned at the eastern end of the Central Swedish lowland, the city's location reflect the early orientation of Swedish trade toward the Baltic region. Stockholm belongs to the Temperate deciduous forest biome, which means the climate is very similar to that of the far northeastern area of the United States and coastal Nova Scotia in Canada. The average annual temperature is 7.6 °C (46 °F). The average rainfall is 531 mm (21 in) a year. The deciduous forest has four distinct seasons, spring, summer, autumn, and winter. In the autumn the leaves change colour. During the winter months the trees lose their leaves. For details about the other municipalities in the Stockholm area, see the pertinent articles. North of Stockholm Municipality: Järfälla, Solna, Täby, Sollentuna, Lidingö, Upplands Väsby, Österåker, Sigtuna, Sundbyberg, Danderyd, Vallentuna, Ekerö, Upplands-Bro, Vaxholm, and Norrtälje. South of Stockholm: Huddinge, Nacka, Botkyrka, Haninge, Tyresö, Värmdö, Södertälje, Salem, Nykvarn and Nynäshamn. The modern centre Norrmalm (concentrated around the town square Sergels torg) is the largest shopping district in Sweden. It is the most central part of Stockholm in business and shopping. Stockholm has a maritime-influenced humid continental climate (Köppen Climate Classification Dfb), with warm summers and cold winters, but very mild for its latitude. In recent decades Stockholm has become even closer to an oceanic climate (Köppen Climate Classification Cfb) due to increasing winter temperatures. Due to the city's high northerly latitude, the length of the day varies widely from more than 18 hours around midsummer to only around 6 hours in late December. The nights from late May until mid July are bright even when cloudy. Stockholm has relatively mild weather compared to other locations at similar latitude, or even farther south. With an average of just over 1800 hours of sunshine per year, it is also one of the sunniest cities in Northern Europe, receiving more sunshine than Paris, London and a few other major European cities of a more southerly latitude. Because of the urban heat island effect and the prevailing wind travelling over land rather than sea during summer months, Stockholm has the warmest July months of the Nordic capitals. Stockholm has an annual average snow cover between 75 and 100 days. In spite of its mild climate, Stockholm is located further north than parts of Canada that are above the Arctic tree line at sea level. Summers average daytime high temperatures of 20–25 °C (68–77 °F) and lows of around 13 °C (55 °F), but temperatures can reach 30 °C (86 °F) on some days. Days above 30 °C (86 °F) occur on average 1.55 days per year (1992–2011). Days between 25 °C (77 °F) and 30 °C (86 °F) are relatively common especially in July and August. Night-time lows of above 20 °C (68 °F) are rare, and the hot summer nights roam around 17 to 18 °C (63 to 64 °F). Winters generally bring cloudy weather with the most precipitation falling in December and January (as rain or as snow). The average winter temperatures range from −3 to −1 °C (27 to 30 °F), and occasionally drop below −20 °C (−4 °F) in the outskirts. Spring and autumn are generally cool to mild. The climate table below presents weather data from the years 1981–2010 although the official Köppen reference period was from 1961–1990. According to ongoing measurements, the temperature has increased during the years 1991–2009 as compared with the last series. This increase averages about 1.0 °C (1.8 °F) over all months. Warming is most pronounced during the winter months, with an increase of more than 2.0 °C (3.6 °F) in January. For the 2002–2014 measurements some further increases have been found, although some months such as June have been relatively flat. The highest temperature ever recorded in Stockholm was 36 °C (97 °F) on 3 July 1811; the lowest was −32 °C (−26 °F) on 20 January 1814. The temperature has not dropped to below −25.1 °C (−13.2 °F) since 10 January 1987. Annual precipitation is 531 mm (20.9 in) with around 170 wet days and light to moderate rainfall throughout the year. The precipitation is not uniformly distributed throughout the year. The second half of the year receives 50% more than the first half. Snowfall occurs mainly from December through March. Snowfall may occasionally occur in late October as well as in April. In Stockholm, the aurora borealis can occasionally be observed. Stockholm's location just south of the 60th parallel north means that the number of daylight hours is relatively small during winter – about six hours – while in June and the first half of July, the nights are relatively short, with about 18 hours of daylight. Around the summer solstice the sun never reaches further below the horizon than 7.3 degrees. This gives the sky a bright blue colour in summer once the sun has set, because it does not get any darker than nautical twilight. Also, when looking straight up towards the zenith, few stars are visible after the sun has gone down. This is not to be confused with the midnight sun, which occurs north of the Arctic Circle, around 7 degrees farther north. The municipal council chamber (Swedish: Rådssalen), inside Stockholm City Hall. The Stockholm Municipal Council (Swedish: Stockholms kommunfullmäktige) is the name of the local assembly. Its 101 councillors are elected concurrently with general elections, held at the same time as the elections to the Riksdag and county councils. The Council convenes twice every month at Stockholm City Hall, and the meetings are open to the public. The matters on which the councillors decide have generally already been drafted and discussed by various boards and committees. Once decisions are referred for practical implementation, the employees of the City administrations and companies take over. The elected majority has a Mayor and eight Vice Mayors. The Mayor and each majority Vice Mayor is a head of a department, with responsibility for a particular area of operation, such as City Planning. The opposition also has four Vice Mayors, but they hold no executive power. Together the Mayor and the 12 Vice Mayors form the Council of Mayors, and they prepare matters for the City Executive Board. The Mayor holds a special position among the Vice Mayors, chairing both the Council of Mayors and the City Executive Board. The City Executive Board (Swedish: Kommunstyrelsen) is elected by the City Council and can be thought of as the equivalent of a cabinet. The City Executive Board renders an opinion in all matters decided by the Council and bears the overall responsibility for follow-up, evaluation and execution of its decisions. The Board is also responsible for financial administration and long-term development. The City Executive Board consists of 13 members, who represent both the majority and the opposition. Its meetings are not open to the public. Following the Stockholm municipal election, 2018 a majority of seats in the municipal council is at present held by a center/right-wing majority and the Mayor of Stockholm (Swedish: Finansborgarråd) is Anna Konig Jerlmyr from the Moderate Party. The vast majority of Stockholm residents work in the service industry, which accounts for roughly 85% of jobs in Stockholm. The almost total absence of heavy industry (and fossil fuel power plants) makes Stockholm one of the world's cleanest metropolises. The last decade has seen a significant number of jobs created in high technology companies. Large employers include IBM, Ericsson, and Electrolux. A major IT centre is located in Kista, in northern Stockholm. Stockholm is Sweden's financial centre. 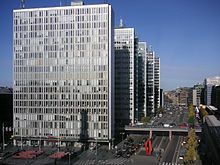 Major Swedish banks, such as Swedbank, Handelsbanken, and SEB, are headquartered in Stockholm, as are the major insurance companies Skandia, Folksam and Trygg-Hansa. Stockholm is also home to Sweden's foremost stock exchange, the Stockholm Stock Exchange (Stockholmsbörsen). Additionally, about 45% of Swedish companies with more than 200 employees are headquartered in Stockholm. Noted clothes retailer H&M is also headquartered in the city. In recent years, tourism has played an important part in the city's economy. Stockholm County is ranked as the 10th largest visitor destination in Europe, with over 10 million commercial overnight stays per year. Among 44 European cities Stockholm had the 6th highest growth in number of nights spent in the period 2004–2008. Research and higher education in the sciences started in Stockholm in the 18th century, with education in medicine and various research institutions such as the Stockholm Observatory. The medical education was eventually formalized in 1811 as Karolinska Institutet. The Royal Institute of Technology (Kungliga Tekniska högskolan, or KTH) was founded in 1827 and is currently Scandinavia's largest higher education institute of technology with 13,000 students. Stockholm University, founded in 1878 with university status granted in 1960, has 52,000 students as of 2008[update]. It also incorporates many historical institutions, such as the Observatory, the Swedish Museum of Natural History, and the botanical garden Bergianska trädgården. The Stockholm School of Economics, founded in 1909, is one of the few private institutions of higher education in Sweden. The Södertörn University College was founded in 1995 as a multi-disciplinary institution for southern Metropolitan Stockholm, to balance the many institutions located in the northern part of the region. The biggest complaint from students of higher education in Stockholm is the lack of student accommodations, the difficulty in finding other accommodations and the high rent. The Stockholm region is home to around 22% of Sweden's total population, and accounts for about 29% of its gross domestic product. The geographical notion of "Stockholm" has changed throughout the times. 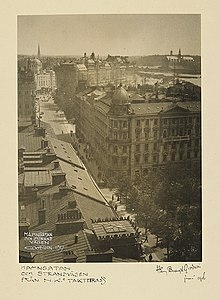 By the turn of the 19th century, Stockholm largely consisted of the area today known as City Centre, roughly 35 km2 (14 sq mi) or one-fifth of the current municipal area. In the ensuing decades several other areas were incorporated (such as Brännkyrka Municipality in 1913, at which time it had 25,000 inhabitants, and Spånga in 1949). The municipal border was established in 1971; with the exception of Hansta, in 1982 purchased by Stockholm Municipality from Sollentuna Municipality and today a nature reserve. Of the population of 935,619 in 2016, 461,677 were men and 473,942 women. The average age is 40 years; 40.1% of the population is between 20 and 44 years. 382,887 people, or 40.9% of the population, over the age 15 were unmarried. 259,153 people, or 27.7% of the population, were married. 99,524 or 10.6% of the population, had been married but divorced. 299,925 people or 32.1% of Stockholm's residents are of an immigrant or non-Swedish background. As of October 2018, there were 201,821 foreign-born people in Stockholm. The largest group of them are the Finns (17,000), followed by Iraqis (16,275), Poles (11,994) and Iranians (11,429). Residents of Stockholm are known as Stockholmers ("stockholmare"). Languages spoken in Greater Stockholm outside of Swedish include Finnish, one of the official minority languages of Sweden; and English, as well as Bosnian, Syriac, Arabic, Turkish, Kurdish, Persian, Dutch, Spanish, Serbian and Croatian. Apart from being Sweden's capital, Stockholm houses many national cultural institutions. The Stockholm region is home to three of Sweden's World Heritage Sites – spots judged as invaluable places that belong to all of humanity: The Drottningholm Palace, Skogskyrkogården (The Woodland Cemetery) and Birka. In 1998, Stockholm was named European Capital of Culture. Authors connected to Stockholm include the poet and songwriter Carl Michael Bellman (1740–1795), novelist and dramatist August Strindberg (1849–1912), and novelist Hjalmar Söderberg (1869–1941), all of whom made Stockholm part of their works. Martin Beck is a fictional Swedish police detective from Stockholm, who is the main character in a series of 10 novels by Maj Sjöwall and Per Wahlöö, collectively titled The Story of a Crime, and often based in Stockholm. Other authors with notable heritage in Stockholm were the Nobel Prize laureate Eyvind Johnson (1900–1976) and the popular poet and composer Evert Taube (1890–1976). The novelist Per Anders Fogelström (1917–1998) wrote a popular series of historical novels depicting life in Stockholm from the mid-18th to mid-20th century. The city's oldest section is Gamla stan (Old Town), located on the original small islands of the city's earliest settlements and still featuring the medieval street layout. Some notable buildings of Gamla Stan are the large German Church (Tyska kyrkan) and several mansions and palaces: the Riddarhuset (the House of Nobility), the Bonde Palace, the Tessin Palace and the Oxenstierna Palace. The oldest building in Stockholm is the Riddarholmskyrkan from the late 13th century. After a fire in 1697 when the original medieval castle was destroyed, Stockholm Palace was erected in a baroque style. Storkyrkan Cathedral, the episcopal seat of the Bishop of Stockholm, stands next to the castle. It was founded in the 13th century but is clad in a baroque exterior dating to the 18th century. 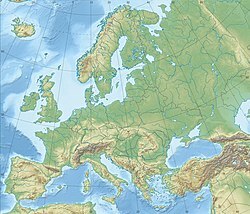 As early as the 15th century, the city had expanded outside of its original borders. Some pre-industrial, small-scale buildings from this era can still be found in Södermalm. During the 19th century and the age of industrialization Stockholm grew rapidly, with plans and architecture inspired by the large cities of the continent such as Berlin and Vienna. Notable works of this time period include public buildings such as the Royal Swedish Opera and private developments such as the luxury housing developments on Strandvägen. In the 20th century, a nationalistic push spurred a new architectural style inspired by medieval and renaissance ancestry as well as influences of the Jugend/Art Nouveau style. A key landmark of Stockholm, the Stockholm City Hall, was erected 1911–1923 by architect Ragnar Östberg. Other notable works of these times are the Stockholm Public Library and the World Heritage Site Skogskyrkogården. Söder Torn, an 86-metre-tall (282-foot) building in Södermalm. In the 1930s modernism characterized the development of the city as it grew. New residential areas sprang up such as the development on Gärdet while industrial development added to the growth, such as the KF manufacturing industries on Kvarnholmen located in the Nacka Municipality. In the 1950s, suburban development entered a new phase with the introduction of the Stockholm metro. The modernist developments of Vällingby and Farsta were internationally praised. In the 1960s this suburban development continued but with the aesthetic of the times, the industrialized and mass-produced blocks of flats received a large amount of criticism. At the same time that this suburban development was taking place, the most central areas of the inner city were being redesigned, known as Norrmalmsregleringen. Sergels Torg, with its five high-rise office towers was created in the 1960s, followed by the total clearance of large areas to make room for new development projects. The most notable buildings from this period include the ensemble of the House of Culture, City Theatre and the Riksbank at Sergels Torg, designed by architect Peter Celsing. In the 1980s, the planning ideas of modernism were starting to be questioned, resulting in suburbs with a denser planning, such as Skarpnäck. In the 1990s this idea was taken further with the development of and old industrial area close to the inner city, resulting in a sort of mix of modernistic and urban planning[clarification needed] in the new area of Hammarby Sjöstad. The municipality has appointed an official "board of beauty" called "Skönhetsrådet" to protect and preserve the beauty of the city. Stockholm's architecture (along with Visby, Gotland) provided the inspiration for Japanese anime director Hayao Miyazaki as he sought to evoke an idealized city untouched by World War. His creation, called Koriko, draws directly from what Miyazaki felt was Stockholm's sense of well-established architectural unity, vibrancy, independence, and safety. Stockholm is one of the most crowded museum-cities in the world with around 100 museums, visited by millions of people every year. The Vasa Museum (Swedish: Vasamuseet) is a maritime museum on Djurgården which displays the only almost fully intact 17th century ship that has ever been salvaged, the 64-gun warship Vasa that sank on her maiden voyage in 1628. The Nationalmuseum houses the largest collection of art in the country: 16,000 paintings and 30,000 objects of art handicraft. The collection dates back to the days of Gustav Vasa in the 16th century, and has since been expanded with works by artists such as Rembrandt, and Antoine Watteau, as well as constituting a main part of Sweden's art heritage, manifested in the works of Alexander Roslin, Anders Zorn, Johan Tobias Sergel, Carl Larsson, Carl Fredrik Hill and Ernst Josephson. From the year 2013 to 2018 the museum was closed due to a restoration of the building. Moderna Museet (Museum of Modern Art) is Sweden's national museum of modern art. It has works by noted modern artists such as Picasso and Salvador Dalí. Skansen (in English: the Sconce) is a combined open-air museum and zoo, located on the island of Djurgården. It was founded in 1891 by Artur Hazelius (1833–1901) to show the way of life in the different parts of Sweden before the industrial era. Stockholm has a vibrant art scene with a number of internationally recognized art centres and commercial galleries. Amongst others privately sponsored initiatives such as Bonniers Konsthall, Magasin 3, and state supported institutions such as Tensta Konsthall and Index all show leading international and national artists. In the last few years a gallery district has emerged around Hudiksvallsgatan where leading galleries such as Andréhn-Schiptjenko, Brändström & Stene have located. Other important commercial galleries include Nordenhake, Milliken Gallery and Galleri Magnus Karlsson. The Stockholm suburbs are places with diverse cultural background. Some areas in the inner suburbs, including those of Skärholmen, Tensta, Jordbro, Fittja, Husby, Brandbergen, Rinkeby, Rissne, Hallonbergen, Kista, Hagsätra, Hässelby, Farsta, Rågsved, Flemingsberg, and the outer suburb of Södertälje, have high percentages of immigrants or second generation immigrants. These mainly come from the Middle East (Assyrians, Syriacs, Turks and Kurds) also Bosnians and Serbs, but there are also immigrants from Africa, Southeast Asia and Latin America. Other parts of the inner suburbs, such as Täby, Danderyd, Lidingö, Flysta and, as well as some of the suburbs mentioned above, have a majority of ethnic Swedes. Distinguished among Stockholm's many theatres are the Royal Dramatic Theatre (Kungliga Dramatiska Teatern), one of Europe's most renowned theatres, and the Royal Swedish Opera, inaugurated in 1773. Other notable theatres are the Stockholm City Theatre (Stockholms stadsteater), the Peoples Opera (Folkoperan), the Modern Theatre of Dance (Moderna dansteatern), the China Theatre, the Göta Lejon Theatre, the Mosebacke Theatre, and the Oscar Theatre. Gröna Lund is an amusement park located on the island of Djurgården. This amusement park has over 30 attractions and many restaurants. It is a popular tourist attraction and visited by thousands of people every day. It is open from the end of April to the middle of September. Gröna Lund also serves as a concert venue. Stockholm is the media centre of Sweden. It has four nationwide daily newspapers and is also the central location of the publicly funded radio (SR) and television (SVT). In addition, all other major television channels have their base in Stockholm, such as: TV3, TV4 and TV6. All major magazines are also located to Stockholm, as are the largest literature publisher, the Bonnier group. The hit PC game Minecraft was created in Stockholm by Markus 'Notch' Persson in 2009. The most popular spectator sports are football and ice hockey. The three most popular football clubs in Stockholm are AIK, Djurgårdens IF and Hammarby IF, who all play in the first tier, Allsvenskan. AIK play at Sweden's national stadium for football, Friends Arena in Solna, with a capacity of 54,329. Djurgårdens IF and Hammarby play at Tele2 Arena in Johanneshov, with a capacity of 30,000 spectators. All three clubs are multi-sport clubs, which have ice hockey teams; Djurgårdens IF play in the first tier, AIK in the second and Hammarby in the third tier, as well as teams in bandy, basketball, floorball and other sports, including individual sports. Historically, the city was the host of the 1912 Summer Olympics. From those days stem the Stockholms Olympiastadion which has since hosted numerous sports events, notably football and athletics. Other major sport arenas are Friends Arena the new national football stadium, Stockholm Globe Arena, a multi-sport arena and one of the largest spherical buildings in the world and the nearby indoor arena Hovet. Besides the 1912 Summer Olympics, Stockholm hosted the 1956 Summer Olympics Equestrian Games and the UEFA Euro 1992. The city was also second runner up in the 2004 Summer Olympics bids. Stockholm hosted the 1958 FIFA World Cup. Stockholm is currently bidding jointly with Åre for the 2026 Winter Olympics competing against the other joint bid of Milan/Cortina d'Ampezzo, Italy, if awarded it will be the second city to host both Summer and Winter Olympics after Beijing and for the 2026 Winter Paralympics if awarded it will also be the second city to host both Summer and Winter Paralympics also after Beijing and with Åre it will also be to host all three winter event including Winter Olympic Games, Winter Paralympic Games and the Special Olympics World Winter Games in which Åre will host in 2021 along with Östersund. Stockholm first bid for the Winter Olympics for 2022 Winter Olympics, but withdrew its bid in 2014 due to financial matters. In 2015, the Stockholms Kungar Rugby league club were formed. They are Stockholm's first Rugby league team and will play in Sweden's National Rugby league championship. Every year Stockholm is host to the ÖTILLÖ Swimrun World Championship. Stockholm has hosted the Stockholm Open, an ATP World Tour 250 series professional tennis tournament annually since 1969. Each year since 1995, the tournament has been hosted at the Kungliga tennishallen. There are over 1000 restaurants in Stockholm. As of 2013[update] Stockholm boasts a total of eight Michelin star restaurants, two of which have two stars. Stockholm Jazz Festival is one of Sweden's oldest festivals. The festival takes place at Skeppsholmen in July. Stockholm Pride is the largest Pride event in the Nordic countries and takes place in the last week of July every year. The Stockholm Pride festival always ends with a parade and in 2007, 50,000 people marched with the parade and about 500,000 watched. The Stockholm Marathon takes place on a Saturday in early June each year. The Nobel Banquet takes place at Stockholm City Hall every year on 10 December. The Stockholm Culture Festival [sv] (Swe: Stockholms kulturfestival) is a summer festival held annually around the middle of August. The Stockholm Water Festival (Swe: Vattenfestivalen) was a popular summer festival held annually in Stockholm between 1991 and 1999. Manifestation, a yearly ecumenical Christian festival with up to 25,000 participants. The Stockholm International Film Festival is an annual film festival held in Stockholm each year since 1990. Stockholm is one of the cleanest capitals in the world. The city was granted the 2010 European Green Capital Award by the EU Commission; this was Europe's first "green capital". Applicant cities were evaluated in several ways: climate change, local transport, public green areas, air quality, noise, waste, water consumption, waste water treatment, sustainable utilisation of land, biodiversity and environmental management. Out of 35 participant cities, eight finalists were chosen: Stockholm, Amsterdam, Bristol, Copenhagen, Freiburg, Hamburg, Münster, and Oslo. Some of the reasons why Stockholm won the 2010 European Green Capital Award were: its integrated administrative system, which ensures that environmental aspects are considered in budgets, operational planning, reporting, and monitoring; its cut in carbon dioxide emissions by 25% per capita in ten years; and its decision towards being fossil fuel free by 2050. Stockholm has long demonstrated concern for the environment. The city's current environmental program is the fifth since the first one was established in the mid-1970s. In 2011, Stockholm passed the title of European Green Capital to Hamburg, Germany. In the beginning of 2010, Stockholm launched the program Professional Study Visits in order to share the city's green best practices. The program provides visitors with the opportunity to learn how to address issues such as waste management, urban planning, carbon dioxide emissions, and sustainable and efficient transportation system, among others. According to the European Cities Monitor 2010, Stockholm is the best city in terms of freedom from pollution. Surrounded by 219 nature reserves, Stockholm has around 1,000 green spaces, which corresponds to 30% of the city's area. Founded in 1995, the Royal National City Park is the world's first legally protected "national urban park". For a description of the formation process, value assets and implementation of the legal protection of The Royal National Urban Park, see Schantz 2006 The water in Stockholm is so clean that people can dive and fish in the centre of the city. In fact the waters of downtown Stockholm serve as spawning grounds for multiple fish species including trout and salmon. Regarding CO2 emissions, the government's target is that Stockholm will be CO2 free before 2050. Stockholm used to have problematic levels of particulates (PM10) due to studded winter tires, but as of 2016 the levels are below limits, after street-specific bans. Instead the current (2016) problem is nitrogen oxides emitted by diesel vehicles. In 2016 the average levels for urban background (roof of Torkel Knutssonsgatan) were: NO2 11 μg/m3, NOx 14 μg/m3, PM10 12 μg/m3, PM2.5 4.9 μg/m3, soot 0.4 μg/m3, ultrafine particles 6200/cm3, CO 0.2 mg/m3, SO2 0.4 μg/m3, ozone 51 μg/m3. For urban street level (the densely trafficked Hornsgatan) the average levels were: NO2 43 μg/m3, NOx 104 μg/m3, PM10 23 μg/m3, PM2.5 5.9 μg/m3, soot 1.0 μg/m3, ultrafine particles 17100/cm3, CO 0.3 mg/m3, ozone 31 μg/m3. Stockholm has an extensive public transport system. It consists of the Stockholm Metro (Swedish: Tunnelbanan), which consist of three color-coded main lines (green, red and blue) with seven actual lines (10, 11, 13, 14, 17, 18, 19); the Stockholm commuter rail (Swedish: Pendeltågen) which runs on the State-owned railroads on four lines (35, 36, 37, 38); four light rail/tramway lines (7, 12, 21, and 22); the 891 mm narrow-gauge railway Roslagsbanan, on three lines (27, 28, 29) in the northeastern part; the local railway Saltsjöbanan, on two lines (25, 26) in the southeastern part; a large number of bus lines, and the inner-city Djurgården ferry. The overwhelming majority of the land-based public transport in Stockholm County (save for the airport buses/airport express trains and other few commercially viable bus lines) is organized under the common umbrella of Storstockholms Lokaltrafik (SL), an aktiebolag wholly owned by Stockholm County Council. Since the 1990s, the operation and maintenance of the SL public transport services are contracted out to independent companies bidding for contracts, such as MTR, which currently operate the Metro. The archipelago boat traffic is handled by Waxholmsbolaget, which is also wholly owned by the County Council. SL has a common ticket system in the entire Stockholm County, which allows for easy travel between different modes of transport. The tickets are of two main types, single ticket and travel cards, both allowing for unlimited travel with SL in the entire Stockholm County for the duration of the ticket validity. On 1 April 2007, a zone system (A, B, C) and price system was introduced. Single tickets were available in forms of cash ticket, individual unit pre-paid tickets, pre-paid ticket slips of 8, sms-ticket and machine ticket. Cash tickets bought at the point of travel were the most expensive and pre-paid tickets slips of 8 are the cheapest. A single ticket is valid for 75 minutes. The duration of the travel card validity depended on the exact type; they were available from 24 hours up to a year. As of 2018, a 30-day card costs 860 SEK. Tickets of all these types were available with reduced prices for students and persons under 20 and over 65 years of age. On 9 January 2017, the zone system was removed, and the cost of the tickets was increased. With an estimated cost of SEK 16.8 billion (January 2007 price level), which equals 2.44 billion US dollars, the City Line, an environmentally certified project, comprises a 6 km (3.7 mi)-long commuter train tunnel (in rock and water) beneath Stockholm, with two new stations (Stockholm City and Stockholm Odenplan), and a 1.4 km (0.87 mi)-long railway bridge at Årsta. The City Line was built by the Swedish Transport Administration in co-operation with the City of Stockholm, Stockholm County Council, and Stockholm Transport, SL. As Stockholm Central Station is overloaded, the purpose of this project was to double the city's track capacity and improve service efficiency. Operations began in July 2017. Between Riddarholmen and Söder Mälarstrand, the City Line runs through a submerged concrete tunnel. As a green project, the City Line includes the purification of waste water; noise reduction through sound-attenuating tracks; the use of synthetic diesel, which provides users with clean air; and the recycling of excavated rocks. Norra länken (North link) motorway in Stockholm. Stockholm is at the junction of the European routes E4, E18 and E20. A half-completed motorway ring road exists on the south, west and north sides of the City Centre. The northern section of the ring road opened for traffic in 2015 while the final subsea eastern section is being discussed as a future project. A bypass motorway for traffic between Northern and Southern Sweden, Förbifart Stockholm, is currently being built. The many islands and waterways make extensions of the road system both complicated and expensive, and new motorways are often built as systems of tunnels and bridges. Stockholm has a congestion pricing system, Stockholm congestion tax, in use on a permanent basis since 1 August 2007, after having had a seven-month trial period in the first half of 2006. The City Centre is within the congestion tax zone. All the entrances and exits of this area have unmanned control points operating with automatic number plate recognition. All vehicles entering or exiting the congestion tax affected area, with a few exceptions, have to pay 10–20 SEK (1.09–2.18 EUR, 1.49–2.98 USD) depending on the time of day between 06:30 and 18:29. The maximum tax amount per vehicle per day is 60 SEK (6.53 EUR, ). Payment is done by various means within 14 days after one has passed one of the control points; one cannot pay at the control points. After the trial period was over, consultative referendums were held in Stockholm Municipality and several other municipalities in Stockholm County. The then-reigning government (Persson Cabinet) stated that they would only take into consideration the results of the referendum in Stockholm Municipality. The opposition parties (Alliance for Sweden) stated that if they were to form a cabinet after the general election—which was held the same day as the congestion tax referendums—they would take into consideration the referendums held in several of the other municipalities in Stockholm County as well. The results of the referendums were that the Stockholm Municipality voted for the congestion tax, while the other municipalities voted against it. The opposition parties won the general election and a few days before they formed government (Reinfeldt Cabinet) they announced that the congestion tax would be reintroduced in Stockholm, but that the revenue would go entirely to road construction in and around Stockholm. During the trial period and according to the agenda of the previous government the revenue went entirely to public transport. Stockholm has regular ferry lines to Helsinki and Turku in Finland (commonly called "Finlandsfärjan"); Tallinn, Estonia; Riga, Latvia, Åland islands and to Saint Petersburg. The large Stockholm archipelago is served by the archipelago boats of Waxholmsbolaget (owned and subsidized by Stockholm County Council). Between April and October, during the warmer months, it is possible to rent Stockholm City Bikes by purchasing a bike card online or through retailers. Cards allow users to rent bikes from any Stockholm City Bikes stand spread across the city and return them in any stand. There are two types of cards: the Season Card (valid from 1 April to 31 October) and the 3-day card. When their validity runs out they can be reactivated and are therefore reusable. Bikes can be used for up to three hours per loan and can be rented from Monday to Sunday from 6 am to 10 pm. Stockholm Arlanda Airport (IATA: ARN, ICAO: ESSA) is the largest and busiest airport in Sweden with 24.7 million passengers in 2016. It is located about 40 km (25 mi) north of Stockholm and serves as a hub for Scandinavian Airlines. Stockholm-Bromma Airport (IATA: BMA, ICAO: ESSB) is located about 8 km (5.0 mi) west of Stockholm. Stockholm-Skavsta Airport (IATA: NYO, ICAO: ESKN) is located 108 km (67 mi) south of Stockholm. It is located 5 km (3 mi) away from Södermanland County capital Nyköping. Stockholm-Västerås Airport (IATA: VST, ICAO: ESOW) is located 103 km (64 mi) west of Stockholm, in the city of Västerås. Arlanda Express airport rail link runs between Arlanda Airport and central Stockholm. With a journey of 20 minutes, the train ride is the fastest way of traveling to the city center. Arlanda Central Station is also served by commuter, regional and intercity trains. Additionally, there are also bus lines, Flygbussarna, that run between central Stockholm and all the airports. As of 2010[update] there are no airports specifically for general aviation in the Stockholm area. Stockholm Central Station has train connections to many Swedish cities as well as to Oslo, Norway and Copenhagen, Denmark. The popular X 2000 service to Gothenburg takes three hours. Most of the trains are run by SJ AB. In the book The Ultimate Guide to International Marathons (1997), written by Dennis Craythorn and Rich Hanna, Stockholm Marathon is ranked as the best marathon in the world. In the 2006 European Innovation Scoreboard, prepared by the Maastricht Economic Research Institute on Innovation and Technology (MERIT) and the Joint Research Centre's Institute for the Protection and the Security of the Citizen of the European Commission, Stockholm was ranked as the most innovative city in Europe. In the 2008 World Knowledge Competitiveness Index, published by the Centre for International Competitiveness, Stockholm was ranked as the sixth most competitive region in the world and the most competitive region outside the United States. In the 2006 European Regional Growth Index (E-REGI), published by Jones Lang LaSalle, Stockholm was ranked fifth on the list of European cities with the strongest GDP growth forecast. Stockholm was ranked first in Scandinavia and second outside Central and Eastern Europe. In the 2007 European Cities Monitor, published by Cushman & Wakefield, Stockholm was ranked as the best Nordic city to locate a business. In the same report, Stockholm was ranked first in Europe in terms of freedom from pollution. In a 2007 survey performed by the environmental economist Matthew Kahn for the Reader's Digest magazine, Stockholm was ranked first on its list of the "greenest" and most "livable" cities in the world. In a 2008 survey published by Reader's Digest magazine, Stockholm was ranked fourth in the world in its list of the "world's top ten honest cities". In a 2008 survey published by the National Geographic Traveler magazine, Gamla stan (the old town) in Stockholm was ranked sixth on its list of rated historic places. In a 2008 survey published by the Foreign Policy magazine, Stockholm was ranked twenty-fourth on its list of the world's most global cities. In 2009 Stockholm was awarded the title as European Green Capital 2010, as the first Green capital ever in the European Green Capital Award scheme. In 2013, Stockholm was named the 8th most competitive city in the world by the Economist Intelligence Unit. ^ "20 Famous Cities You Can Visit Without Breaking The Bank – TripAdvisor Vacation Rentals". TripAdvisor Vacation Rentals. Retrieved 10 February 2016. ^ "Folkmängd i riket, län och kommuner. Totalt". SCB. Archived from the original on 9 August 2016. Retrieved 2 July 2016. ^ a b "Stockholm" (in Swedish). Nationalencyklopedin. Retrieved 30 January 2014. ^ a b c "Folkmängd per tätort och småort 2010, per kommun" (XLS) (in Swedish). Statistics Sweden. 20 June 2013. Retrieved 2 February 2014. ^ "Population in Stockholm urban area". Statistiska Centralbyrån. Retrieved 30 October 2018. ^ "Folkmängd i riket, län och kommuner 30 september 2018 och befolkningsförändringar 1 juli–30 september". SCB. Archived from the original on 9 August 2016. Retrieved 2 July 2016. ^ "Folkmängd i riket, län och kommuner 30 juni 2017 och befolkningsförändringar 1 april–30 juni 2017. Totalt". SCB. Archived from the original on 9 August 2016. Retrieved 2 July 2016. ^ "Finansiella sektorn bär frukt — Analys av den finansiella sektorn ur ett svenskt perspektiv" (PDF). Government of Sweden. Archived from the original (PDF) on 28 July 2014. Retrieved 19 July 2014. ^ "Regional GDP per capita in the EU in 20 10 : eight capital regions in the ten first places" (PDF). Eurostat. 2013. Archived from the original (PDF) on 3 April 2013. Retrieved 19 July 2014. ^ "The World According to GaWC 2012". Loughborough University/GaWC. 13 January 2014. Retrieved 30 January 2014. ^ "2012 Global Cities Index and Emerging Cities Outlook". A.T. Kearney et al. 2012. Archived from the original (PDF) on 20 October 2013. Retrieved 30 January 2014. ^ "Stockholm School of Economics". www.hhs.se. Retrieved 11 December 2017. ^ "World University Rankings 2011–12: Europe". TSL Education Ltd. Retrieved 19 July 2014. ^ "Top 5 non-art museums". Chicago Tribune. Retrieved 19 July 2014. ^ "Who visits Vasa". Vasamuseet. Archived from the original on 27 July 2014. Retrieved 19 July 2014. ^ "Stockholm's underground subway art". BBC. Retrieved 19 July 2014. ^ "Stockholm's Subway System is the World's Largest Underground Art Museum". Inhabitat. Retrieved 19 July 2014. ^ "Magic in the Metro". Businessweek. Retrieved 19 July 2014. ^ "Allt fler myndigheter hamnar i Stockholm" (in Swedish). Riksdag & Departement. 27 April 2012. Archived from the original on 1 May 2012. Retrieved 1 February 2014. ^ "Kammarrättens hus" (in Swedish). National Property Board of Sweden. Archived from the original on 4 February 2014. Retrieved 2 February 2014. ^ "Bondeska palatset" (in Swedish). National Property Board of Sweden. Retrieved 2 February 2014. ^ "The Swedish Government Offices — a historical perspective". The Government Offices of Sweden. Archived from the original on 18 February 2014. Retrieved 2 February 2014. ^ "How the Riksdag works". The Riksdag. Retrieved 2 February 2014. ^ "Sagerska huset" (in Swedish). National Property Board of Sweden. Retrieved 2 February 2014. ^ "The Royal Palace of Stockholm". The Royal Court of Sweden. Archived from the original on 8 February 2014. Retrieved 2 February 2014. ^ a b "Drottningholm Palace". The Royal Court of Sweden. Archived from the original on 8 February 2014. Retrieved 2 February 2014. ^ Carlquist, Erik; Hogg, Peter C.; Österberg, Eva (1 December 2011). The Chronicle of Duke Erik: A Verse Epic from Medieval Sweden. Nordic Academic Press. ISBN 9789185509577. ^ Feargus O'Sullivan. "The Sky Walk Plan That Could Change the Face of Stockholm". CityLab. Retrieved 17 March 2016. ^ Hobbs, Joseph J., ed. (2009). "Northern Europe: Prosperous, wild and wired". World Regional Geography (6th ed.). p. 127. ^ "Norrmalm, Stockholm Travel Guide". www.oyster.com. Retrieved 23 April 2018. 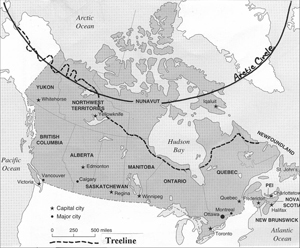 ^ "Arctic Tree Line Map of Canada". Jackson School of International Studies. Archived from the original on 23 June 2010. Retrieved 8 October 2015. ^ "Stockholm — Bromma". Data.smhi.se. Archived from the original on 4 June 2012. Retrieved 11 April 2014. ^ "Stockholm — Bromma". Data.smhi.se. Archived from the original on 4 June 2012. Retrieved 1 December 2012. ^ "Temperaturrekord i Stockholm och Uppsala | Meteorologi | Kunskapsbanken" (in Swedish). SMHI. 14 November 2011. Retrieved 14 January 2012. ^ "Vintern 2010–2011: Vinterns lägsta temperaturer | Klimatdata | SMHI" (in Swedish). Smhi.se. Retrieved 14 January 2012. ^ "Temperaturrekord i Stockholm och Uppsala" [Temperature Records in Stockholm and Uppsala] (in Swedish). Swedish Meteorological and Hydrological Institute. 2009. Retrieved 13 June 2010. ^ "Climate Normals for Sweden 1981–2010". Météo climat. Retrieved 30 December 2016. ^ "Sunshine Hours of Stockholm" (PDF). Sveriges Meteorologiska och Hydrologiska Institut. Retrieved 19 March 2012. ^ a b c "City Governance". Stockholm City. Retrieved 23 July 2014. ^ "Fakta om företagandet i Stockholm – 2012. page 18, Stockholm Business Region website" (PDF). Archived from the original (PDF) on 19 July 2012. Retrieved 19 May 2012. ^ "Fakta om företagandet i Stockholm – 2012. page 6, Stockholm Business Region website" (PDF). Archived from the original (PDF) on 19 July 2012. Retrieved 19 May 2012. ^ "Stockholm University — Find Housing On Your Own". Su.se. 11 May 2012. Archived from the original on 4 May 2012. Retrieved 19 May 2012. ^ "Emerging housing crisis for students". Stockholmnews.com. Archived from the original on 29 April 2012. Retrieved 19 May 2012. ^ "Fakta om företagandet i Stockholm – 2012. page 13, Stockholm Business Region website" (PDF). Archived from the original (PDF) on 19 July 2012. Retrieved 19 May 2012. ^ a b "Statistisk arsbok for Stockholm 2018" (PDF). Statistik Stockholm. Retrieved 5 October 2018. ^ "Statistical database – Select table". www.statistikdatabasen.scb.se. Retrieved 1 August 2017. ^ "Population in the country, counties and municipalities on 31/12/2012 and Population Change in 2012". Statistics Sweden. 20 February 2013. Archived from the original on 16 December 2013. Retrieved 30 January 2014. ^ "Population". The Nordic Council. Retrieved 31 December 2014. Stockholm is the largest city with 2.1 million people, followed by Copenhagen and Oslo with 1.2 million each. ^ "Befolkningen i Stockholm 1252–2005" (in Swedish). Stockholm Municipality. Archived from the original (PDF) on 1 February 2014. Retrieved 30 January 2014. ^ "Three world heritage sites". Stockholm Visitors Board. Archived from the original on 19 February 2014. Retrieved 2 February 2014. ^ a b "World Heritage Skogskyrkogården". The Stockholm City Museum. Archived from the original on 9 January 2014. Retrieved 2 February 2014. ^ "Skönhetsrådet". Stockholm.se. 17 February 2012. Retrieved 19 May 2012. ^ Hayao Miyazaki (director) (3 February 2010). Creating Kiki's Delivery Service (DVD)|format= requires |url= (help) (in English and Japanese). Disney Presents Studio Ghibli. ^ "Museer & attraktioner — Stockholms officiella besöksguide, kartor, hotell och evenemang". Stockholmtown.com. Archived from the original on 7 March 2009. Retrieved 6 May 2009. ^ Anderson, Christina (12 October 2018). "A Restoration Brings Sweden's Nationalmuseum Into the 21st Century". The New York Times. ^ User, Super. "Statistik Stockholm - English". statistik.stockholm.se (in Swedish). Retrieved 30 January 2018. ^ "Foreign-born persons and persons born in Sweden with both parents born abroad 31/12/2011 by country". ^ James Goodwillie (19 September 2017). "Swim Run: 2 Events That Combine These 2 Sports". ^ "Stockholm Jazz". Stockholm Jazz. Retrieved 19 May 2012. ^ "Stockholm Pride". Stockholm Pride. Retrieved 19 May 2012. ^ a b "Stockholm – European Green Capital 2010". Ec.europa.eu. 23 February 2009. Archived from the original on 11 May 2012. Retrieved 19 May 2012. ^ a b "European Green Capital". international.stockholm.se. 1 March 2012. Archived from the original on 24 May 2012. Retrieved 19 May 2012. ^ "A sustainable city". international.stockholm.se. Archived from the original on 29 May 2012. Retrieved 19 May 2012. ^ "Cushman & Wakefield. 2010 European Cities Monitor" (PDF). p. 2. Archived from the original (PDF) on 4 May 2012. Retrieved 19 May 2012. ^ a b c "Environment". international.stockholm.se. 10 February 2012. Archived from the original on 13 March 2012. Retrieved 19 May 2012. ^ Schantz, P. 2006. The Formation of National Urban Parks: a Nordic Contribution to Sustainable Development? In: The European City and Green Space; London, Stockholm, Helsinki and S:t Petersburg, 1850–2000 (Ed. Peter Clark), Historical Urban Studies Series (Eds. Jean-Luc Pinol & Richard Rodger), Ashgate Publishing Limited, Aldershot. ^ "Luften i Stockholm Årsrapport 2016" (PDF). SLB-analys, Miljöförvaltningen i Stockholm, Stockholms stad. ISSN 1400-0806. Retrieved 19 November 2017. ^ a b c "The Stockholm City Line". Swedish Transport Administration. Retrieved 28 July 2017. ^ Barrow, Keith (10 July 2017). "Stockholm City Line opens". International Railway Journal. Retrieved 28 July 2017. ^ "Congestion tax in Stockholm from 1 August". Swedish Road Administration. Archived from the original on 2 March 2007. Retrieved 2 August 2007. ^ "Trängselskatt i Stockholm". Swedish Road Administration. Archived from the original on 9 July 2007. Retrieved 1 August 2007. ^ "Odramatisk start för biltullarna". Dagens Nyheter. 1 August 2007. Archived from the original on 30 September 2007. Retrieved 1 August 2007. ^ "Stockholmsförsöket". Stockholmsförsöket. Archived from the original on 15 July 2007. Retrieved 18 July 2007. ^ "Tider och belopp". Swedish Road Administration. Archived from the original on 3 July 2007. Retrieved 1 August 2007. ^ "Betalning". Swedish Road Administration. Archived from the original on 29 June 2007. Retrieved 1 August 2007. ^ "Traffic and public transport". international.stockholm.se. Archived from the original on 21 June 2012. Retrieved 19 May 2012. ^ "To buy a bike card". Citybikes.se. Retrieved 19 May 2012. ^ Craythorn, Dennis; Hanna, Rich (1997). The Ultimate Guide to International Marathons. United States: Capital Road Race Publications. ISBN 978-0-9655187-0-3. ^ "European Innovation Scoreboard" (PDF). Maastricht Economic Research Institute on Innovation and Technology; Institute for the Protection and the Security of the Citizen. 2006. Archived from the original (PDF) on 25 February 2007. Retrieved 1 December 2008. ^ "The World Knowledge Competitiveness Index". Centre for International Competitiveness. 2008. Retrieved 1 December 2008. ^ "London takes top spot from Paris in Jones Lang LaSalle's new European Regional Growth Barometer". Jones Lang LaSalle. 7 November 2006. Archived from the original on 8 January 2007. Retrieved 1 December 2008. ^ "European Cities Monitor" (PDF). Cushman & Wakefield. 2007. Archived from the original (PDF) on 9 December 2008. Retrieved 1 December 2008. ^ Kahn, Matthew. "Living Green". Reader's Digest. Archived from the original on 29 September 2008. Retrieved 1 December 2008. ^ Marty, Phil (23 November 2008). "Phoning in search of an honest man". Chicago Tribune. Retrieved 3 September 2016. ^ Tourtellot, Jonathan (November – December 2008). "Historic Places Rated". National Geographic Traveler. Retrieved 1 December 2008. ^ "The 2008 Global Cities Index". Foreign Policy. November 2008. Archived from the original on 10 January 2010. Retrieved 9 December 2008. ^ Steven, Perlberg (9 June 2013). "The 17 Most Competitive Cities In The World". Business Insider. Retrieved 30 January 2014. Wikimedia Commons has media related to Stockholm.